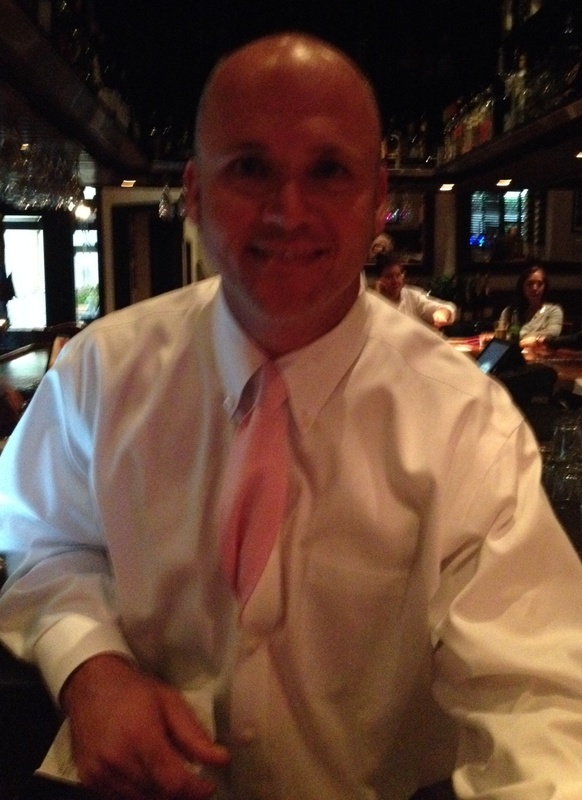 October is breast cancer awareness month, and the Centraarchy restaurant group is here to help the cause. 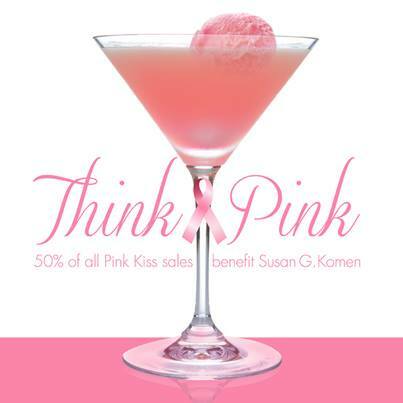 Their restaurants — including New York Prime, Joey D’s Oak Room, and Tavern at Phipps here in Atlanta — are all serving up the Pink Kiss martini with 50% of the proceeds going to the Susan G. Komen foundation. 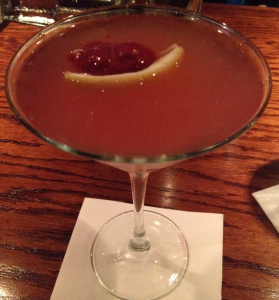 The cocktail is delicious, and there’s nothing better than drinking when you know the proceeds are going to charity. Upon arriving at New York Prime for happy hour, we were greeted by Bobby — one of the managing partners. If you’re having trouble finding New York Prime, we suggest coming down Lenox and turning in at the Ritz-Carlton. If you get lost, just call the restaurant at 404.846.0644 and they’ll help guide you. That’s what we had to do y’all…and thanks again to Bobby for helping us find our way! After settling in at the bar with our pal Elizabeth from Southern Color, our bartender Steve served up two of the prettiest pink cocktails. 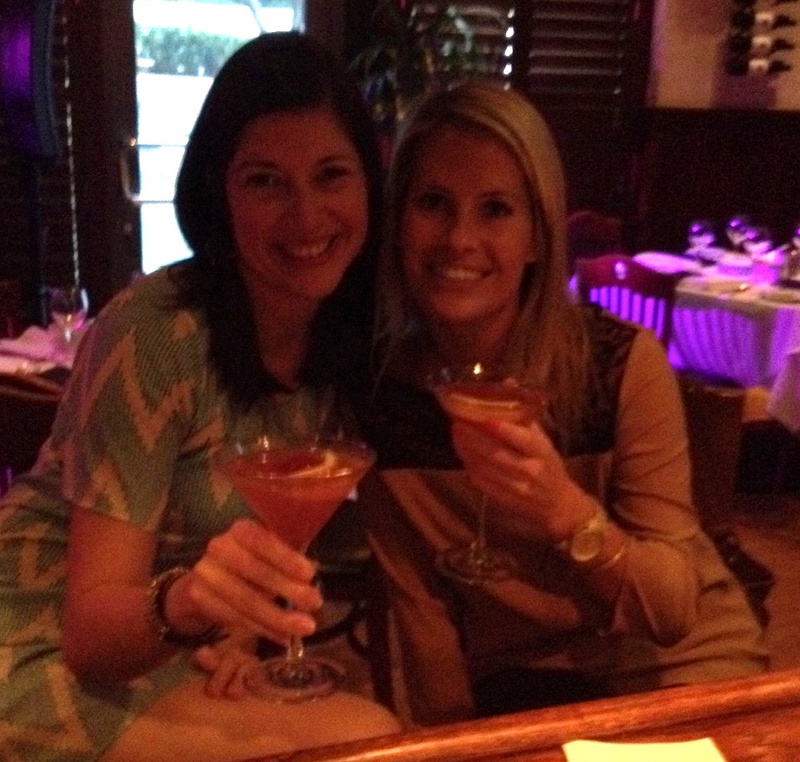 We loved our happy hour at New York Prime, and plan to go back for more Pink Kisses to help support the Susan G. Komen foundation. There’s nothing better than supporting a good cause and unwinding from a hard day with a pretty drink at the same time! The Pink Kiss is pure perfection. Not too sweet, but strong and sparkly. So make a reservation to help sip martinis for breast cancer awareness! Here’s the recipe if y’all want to make this drink at home after October ends. The Pink Kiss Martini is a sweet treat. Pour liquors into a martini shaker over ice, then squeeze lemon and strain into a martini glass. Serve with a tiny scoop of raspberry sorbet and a splash of Prosecco. Y’all can try to make it at home, but get to a Centraarchy restaurant this week to celebrate the ta-ta’s and happy hour! Keep up with New York Prime on Facebook and Twitter, and while y’all are at, keep up with Pretty Southern too. Go see Steve at New York Prime in Atlanta. 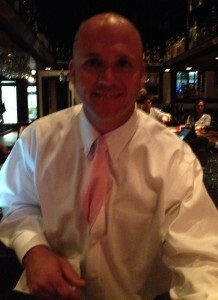 Look for the charmer in a pink tie!